All the latest news about big changes in the latest Chrome OS might be making you think how to check the Chrome OS version on your Chromebook. It’s easy to check the Chrome OS version and you can also check if any updates are available at the same time. The following video will guide you through how to check the version you are currently using on your Chromebook. Do I need the latest Chrome OS version on my Chromebook? It’s not essential to update your Chromebook straight away and updates for the Chromebook do happen automatically. If you are eager for the latest Chrome OS update, however, then you can manually check to see if an update is available. What are the benefits of having the latest Chrome OS version? Having the latest Chrome OS version means you can take advantage of the improvements Google have made to the operating system. Some updates are minor and you may not always see much of a change. However, other updates such as Chrome OS 70 are big updates. These updates are changing the Chrome OS to be more usable for tablets running Chrome OS. The Chrome OS update is also useful for Chromebook owners because it has changed significantly. Having the latest updates will also mean you are protected from any known viruses or floors in the previous Chrome OS version. Is my Chromebook compatible with the latest version of Chrome OS? 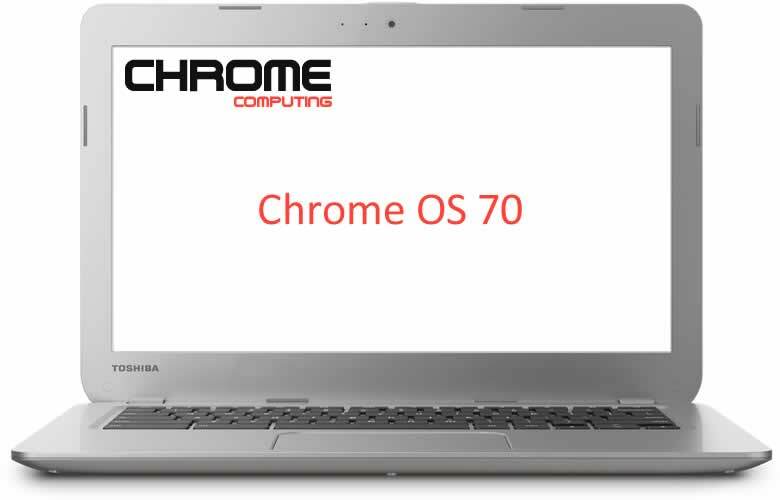 Most Chromebooks are compatible with the latest Chrome OS. You can check this by following the instructions in the video above. If you do not have the option to update to the latest version, it will either be that you are already running the latest version of Chrome OS or your Chromebook is not compatible. If you are on version 68 or 69 and it does not give the option to update, then it’s most likely your Chromebook cannot be updated to the latest version. If your Chromebook cannot update to the latest version, then you most likely have an old Chromebook which cannot cope with the new Chrome OS version. What should I do if my Chromebook cannot install the latest Chrome OS? If you cannot update to the latest version of Chrome OS, and your Chromebook is relatively old, then you should consider buying a new Chromebook. This isn’t essential, but there will become a time when your Chromebook is no longer supported. This could cause the risk of your Chromebook being prone to security issues. However, this will not necessarily be the case, but it does increase the risk of your Chromebook being vulnerable. You can get your hands on an entry-level Chromebook at a reasonable price, so buying a new Chromebook is likely your best option.